More than 2,600 mergers and acquisitions worth $149 billion were announced in the global mining industry last year. They represented an increase of 33% from 2010, making 2011 the busiest year for mining M&A since 2006, when $152 billion in deals were announced, according to PwC. And 2012 looks set to continue the trend. "We anticipate a record year of mining M&A ahead, primarily driven by cash-rich senior [mining companies] and [financial] intermediaries hungry for projects," says Tim Goldsmith, PwC's global mining leader. Activity will be underpinned by the continued need for base and precious metals by the world's rapidly industrializing nations, he says. Sovereign wealth funds, specialized private equity and large pension funds eager to deploy capital will reevaluate their approach to the resource sector, he adds. The year 2012 will also be remembered for the emergence of Africa as one of the most important locations for mining deals, Goldsmith says. Africa will take over from last year's leaders—Canada, the US and Australia—which, together, accounted for 53% of annual acquisition values. Africa's unparalleled resource potential and an increasingly friendly investor climate will bring it to the fore in 2012, Goldsmith says. "Of course, we have, and will continue to see, many deals for African assets and note that emerging nations, such as China, already have a major footprint in the mining industry throughout the continent," he says. As the center of gravity of the global economy shifts from west to east, the traditional economics behind mining mergers will need to be reconsidered, Goldsmith says. "The roads ahead—those in the frontier markets—are not those that have been mastered by many of the miners of our age," he says. Western boards and shareholders will need to rethink the way in which the balances of risk and reward behind mining deals are weighed, Goldsmith says. "Despite the fact that growth markets are home to the majority of the world's population and that these same markets are the end users for the majority of the world's mining resources, buyers from growth markets led on only 17% of acquisitions [by volume] in the mining sector in 2011," he says. Many developed-world buyers are playing it safe, PwC says in a report released last month on the global mining industry in 2011 and the outlook for 2012. 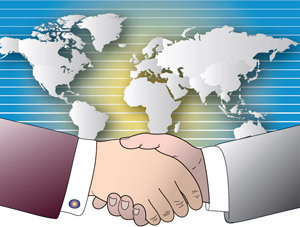 Some 72% of Western-led deals last year involved acquisitions of projects in another developed world region, it says. This could be a barrier to long-term growth, given that three-quarters of known mining reserves lie in countries outside the developed markets, PwC says. "Numbers don't lie," Goldsmith says. "Developed nations have to ask themselves what is the long-term cost of not doing business in the growth markets. They need to be more aggressive." 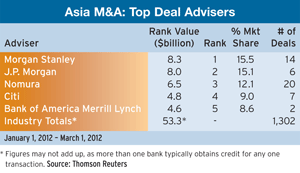 Although still representing only a small portion of the global mining M&A market, buyers based in India, Indonesia, South Korea and the Philippines made some notable moves in 2011, the PwC report notes. Indian buyers announced 26 mining acquisitions worth $1.6 billion, an increase of 1,300% in value from the peak global mining M&A year of 2006. Indonesian buyers announced 1.3 billion of mining buys in 2011, up from virtually zero in 2006. Miners based in fast-growing emerging markets accounted for almost a quarter of global mining M&A by value last year. This was nearly 50% higher than the total deal value from these miners in 2006. Sesa Goa, India's largest exporter of iron ore, announced recently that it will absorb Sterlite Industries (India) in an all-share deal. London firm Vedanta Resources, which owns both of the publicly traded Indian companies, is combining them to reduce its debt following its purchase of oil producer Cairn India. In the biggest mining M&A deal of 2011, Virginia's Alpha Natural Resources outbid Arch Coal of Missouri to acquire Massey Energy, a major producer of metallurgical coal used in the steel industry, for more than $8.5 billion in cash and stock. With demand for new projects, rising production costs and declining developed-world reserves, miners will seek out targets to build scale and achieve cost efficiencies, according to PwC. Whether or not 2012 is a record year for mining M&A will depend in part on what happens to the proposed merger of equals of Swiss companies Glencore International and Xstrata, which was announced in February. If approved, the all-share merger, in which Glencore agreed to a purchase price of about €26 billion ($38 billion), would create a mining company with a market value of $90 billion and would be the largest mining transaction in history, surpassing the market value of Rio Tinto and Alcan after their $38 billion merger in 2007. "Increased scale and diversity will improve our risk profile, enhance access to capital markets and allow us to participate in industry consolidation," says Xstrata CEO Mick Davis, who would become CEO of the merged company. Glencore CEO Ivan Glasenberg insisted last month that the company's takeover offer for Xstrata is at a fair price, although some shareholders are holding out for a better offer. The new group would be the world's biggest exporter of coal for power plants, and the largest producer of zinc. Technology was another hot area for M&A activity in 2011, but the sector could take a breather in 2012, according to Ernst & Young. The aggregate value of global technology deals rose 41% last year to $168 billion, even as the overall value of global M&A in all industries fell slightly amid global economic uncertainty, particularly in the second half. The disruptive megatrends in technology of smart mobility, cloud computing, social networking, "big data" analytics for databases that are too large to handle using current systems, and the blurring of industry and sector lines have helped fuel a significant rise in global technology M&A activity since 2009, says Joe Steger, global technology transaction advisory services leader at Ernst & Young. One of the big technology stories of 2011 was the return of private equity deals, which rose 67% in value from a year earlier. There was some pullback in technology M&A late last year due to macroeconomic pressures, Steger says. "The same pressures suggest we might be in for slow growth in 2012—but the long-term outlook for technology M&A remains strong due to ongoing disruptive technology innovation," he says. 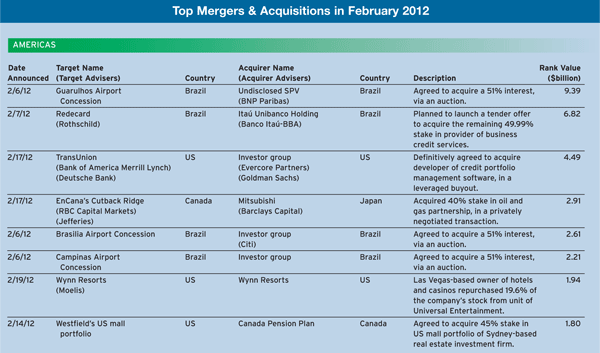 "M&A technology transactions will likely take a pause in the first quarter of 2012." There were 34 technology deals of $1 billion or more last year, including eight in the fourth quarter. At the same time, a multitude of smaller deals demonstrated the strategic importance of certain technologies, especially social networking and security, but also healthcare information technology, online and mobile games, and advertising/marketing technologies, according to Ernst & Young. "Dealmaking in the Americas represented slightly more than half of all 2011 global technology M&A volume, evidence that the region continues to play its traditional trendsetting role in the industry, even as other regions have risen to prominence," Ernst & Young notes. 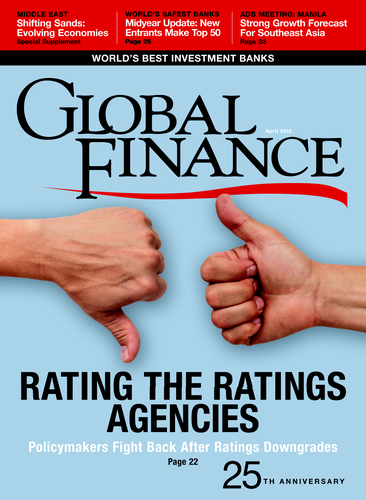 Volume and value growth in the Asia-Pacific and Japan region surpassed the global average last year.